The bloody skin suit teen costume uses a skin tight bodysuit and see-thru mask to create a costume from head-to-toe which can be used as a costume on its own or as a base to any number of different costumes by pairing it up with different accessories, capes, glasses, and more. 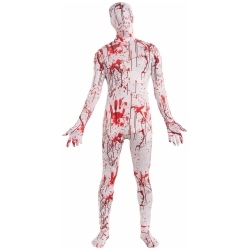 The bloody skin suit teen costume is colored as pictured. Costume includes skin tight bodysuit and see-thru over the head mask. 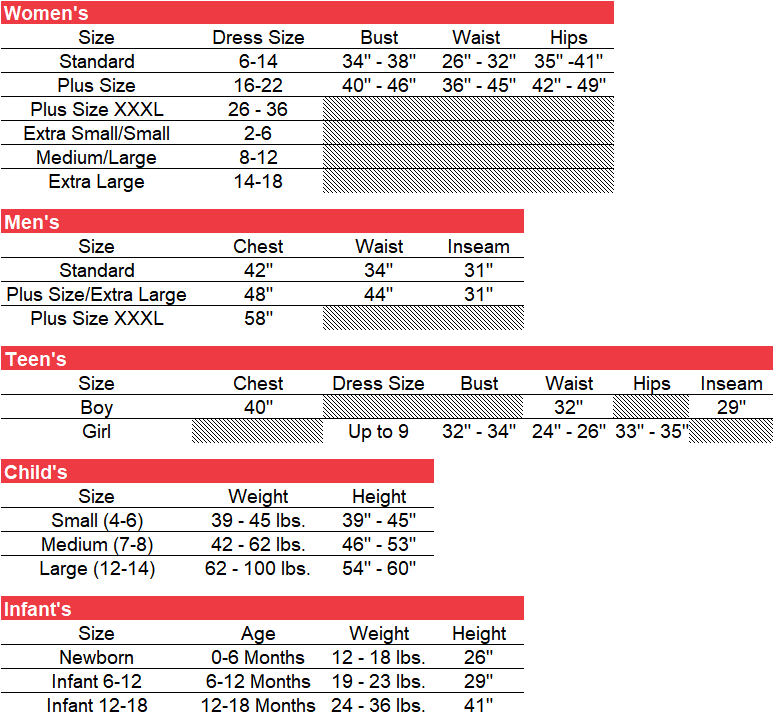 Costume is made of 92% Polyester and 8 % Spandex.